Under Wis. Stat. § 968.075 (9), district attorneys are required to annually report domestic abuse law enforcement responses, arrests, prosecutions, and convictions to the Wisconsin Department of Justice. 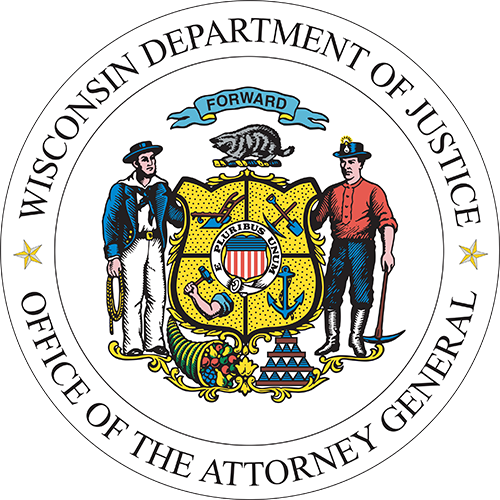 In order to comply with this requirement, staff of the Wisconsin's District Attorney Information Technology (DA IT) Program extract data annually from PROTECT (PROsecutor TEchnology for Case Tracking)—a case management system used by district attorneys in Wisconsin—and provide it to the Bureau of Justice Information and Analysis (BJIA) at the Wisconsin Department of Justice. The data provided includes only those incidents reported to district attorneys’ offices by law enforcement, entered into, and flagged as a domestic case by staff within the district attorney's office. Law enforcement agencies and the district attorneys' offices are responsible for complete and accurate data reporting. The comprehensiveness and quality of the data presented are dependent upon thorough, accurate, and consistent entry of data at the county level. The data is received by BJIA in XML format. Each case is received as a separate XML file. The files are processed and imported into a database where SAP® Crystal Reports is used to structure and prepare the data to be organized and analyzed using IBM® SPSS®. The results of the analysis are presented on the Tableau® dashboards below. The dashboards are divided into three primary areas: law enforcement reporting, charging, and case processing. Additional information about definitions is located below the dashboard and the counting methodology is linked on the dashboards. The data presented on the dashboards should not be directly compared to data from reports produced prior to 2013 due to significant differences in analysis and report methodology. The data presented on the dashboards is dynamic and subject to change, even for data reported from previous years, as BJIA receives annual updates provided by DA IT. Each district attorney’s office may have local practices that make county-to-county comparisons problematic. For example, if law enforcement refers an incident with multiple suspects, some district attorneys’ offices may open multiple cases in PROTECT, one for each suspect, while others may include multiple suspects on a single case. We have attempted to account for some of these variations in local practices in the analysis; however, we recommend the data not be used to rank counties or draw conclusions using cross county comparisons. Practices within a county are likely to be more consistent year-over-year forming a better basis for comparison, but it should be noted that observed changes in the data may reflect a change in law enforcement activity or district attorney case processing, and not necessarily a change in the frequency of domestic abuse reporting or other measures included in the analysis. If you are a victim of domestic abuse and looking for resources, please contact the Office of Victim Services at the Wisconsin Department of Justice or visit their crime victim resources page for information regarding resources available in your county. Download a PDF or image of the dashboard by clicking the download button at the bottom of the dashboard. Data files are not available to download at this time. Arrest: The booking and fingerprinting of a suspect for an alleged offense that is included on a case. The arresting offense may be a domestic abuse offense; however, the arrest may instead be related to another type of offense. The arrest may occur at the time of the incident or after the initial incident occurred. Arrest Unit of Count: Arrests listed on cases are not associated with a specific incident, but rather a suspect listed on the case. As a result, one arrest may be associated with more than one incident. In order to account for some of the variation in case processing across counties, we assume an individual suspect cannot be arrested multiple times in the same county on the same date. We recognize that it is possible for a suspect to be arrested multiple times in the same county on the same date; however, a review of the data suggest that more commonly, the arrests are duplicate arrests resulting from case processing practices, and not likely separate arrests. We assume that an arrest that occurred on the date of an incident listed on a case occurred at the time of the incident and an arrest that occurred on a date other than that of an incident listed on the case occurred after the incident. We recognize this assumption has some limitations. An arrest may have occurred at a different time, but on the same date as an incident or an arrest could have occurred at the time of the incident, but the date of the arrest may be the next day if the incident and the arrest took place overnight. Open and closed cases are considered in this analysis. Suspects listed on cases may be alleged to have committed offenses other than domestic abuse. Suspects may be alleged to have committed a domestic abuse offense, but the case includes additional incidents that did not include a domestic abuse offense. Suspects may not have been present at the time law enforcement arrived and were subsequently not arrested. Suspects may be listed on cases that include domestic abuse incidents that were not initially reported to law enforcement or were reported subsequent to the primary domestic abuse incident. One arrest may be associated with multiple incidents. Law enforcement officer did not make an arrest because there was not probable cause to do so or other circumstances requiring an arrest were not present.  Case: A record created in PROTECT that is assigned a case number and flagged as domestic. A case typically includes information from the law enforcement report, such as incidents, suspects, victims, and witnesses, as well as information related to prosecution and conviction of defendants, if applicable. A case may include information regarding multiple incidents, suspects, and victims. Case Year: The calendar year in which a case is created by a district attorney’s office in PROTECT. Closed Case: A case that has a status in PROTECT that indicates it may be closed or has reached resolution (e.g. Declined, No Prosecution, Closed) and all issued charges have reached final disposition. All of the analysis of charging and case processing is done using only closed cases. Open Case: A case that has a status in PROTECT that indicates it may be open or in process (e.g. Filed, Under Review) or a case in which not all issued charges have reached final disposition. If a case includes multiple defendants and at least one defendant has at least one charge that has not reached disposition, the case is considered open. PROTECT (PROsecutor TEchnology for Case Tracking): A case management system used by district attorneys in Wisconsin to collect information reported by law enforcement and to track defendants and cases from referrals from law enforcement through case disposition. Charge: An allegation that an individual engaged in a criminal act. Charge Severity: The severity of the charge of an alleged criminal act may be felony, misdemeanor, or non-criminal (ordinance), which are handled as a hierarchy in this order from the most severe to least severe for the purpose of determining severity. Charge Classification Code: A charge code based on the seriousness level of the offense. The classification codes for felonies, misdemeanors, and non-criminal offenses are shown below ranging from the most severe to least severe. Children Included on Cases: Individuals listed as either a victim or a witness on a case who are under the age of 18 at the time of the initial incident date. Multiple child victims and witnesses may be associated with a case and not all victims and witnesses listed on a case are victims or witnesses of domestic abuse. The same child may be listed as a victim and/or witness on multiple cases. Children Included on Cases Unit of Count: A unique count of individuals listed as either victims and/or witnesses on cases who are under the age of 18 at the time of the initial incident date within a county by case year. Therefore, the same child is only counted one time within a case year, but may be included in the count of children in more than one case year. Open and closed cases are considered in this count. Convicted Charge: A charge in which the defendant has been found guilty of an alleged crime. The finding of guilt may be the result of a no contest/guilty plea or a trial. Top Convicted Charge: The most severe charge (severity and classification code) for which a defendant was convicted on a domestic abuse case. Top Convicted Charge Unit of Count: Each defendant with a convicted charge has at least one top convicted charge. If a defendant has more than one convicted charge of varying severity, a hierarchy of top convicted charges is applied based on charge severity and classification code. A defendant may have more than one top convicted charge if multiple top charges are of equal severity and classification code. Only closed cases are considered in this count. Top Conviction: The most severe conviction for a defendant based on the severity and classification code of issued charges with convictions. If a defendant has more than one convicted charge of varying severity classification, a hierarchy of top convictions is imposed with the following categories, in order: 1) Convicted Felony, 2) Convicted Misdemeanor, 3) Found Guilty of Non-Criminal Offense, 4) Not Convicted, 5) Unknown. Top Conviction Unit of Count: Each defendant with at least one convicted charge has only one top conviction. If two or more charges are both the most severe, only one conviction is counted for that defendant. For example, if a defendant has two most severe charges that are both class A felonies, the top conviction, “Convicted Felony,” is only counted one time. If a defendant does not have any convicted charges, the top conviction is “Not convicted.” We consider all convicted charges on closed cases in this count. Defendant: A suspect with at least one referred or issued charge who is included as part of a case. Not all defendants are prosecuted. Domestic Abuse Case: A defendant and all associated referred and/or issued charges on a case. In addition to flagging cases that meet the statutory definition of domestic abuse (Wis. Stat. § 968.075 (1)(a)), some counties may flag cases that do not meet the statutory definition, but are processed in their office as domestic abuse cases. Domestic Abuse Case Unit of Count: Each defendant and all associated referred and/or issued charges on a case are counted as one domestic abuse case, even if the district attorney’s office includes multiple defendants on a case. Therefore, the count of domestic abuse cases is equal to the count of defendants. Open and closed cases are considered in this count. Domestic Abuse Incident: An incident to which law enforcement responded and made a determination that the incident meets the criteria for domestic abuse defined by Wis. Stat. § 968.075 (1)(a). Incident: An incident included on a case. Not all incidents included as part of a case are specifically related to domestic abuse, but all incidents are included in this analysis (e.g. some bail jumping incidents or other incidents that may have occurred after an initial domestic incident that are related to the case, such as attempts to escape or flee). Incident Unit of Count: Incidents are reported by incident year. In order to account for some of the variation in case processing across counties, we assume the following when counting unique incidents: 1) Multiple incidents associated with the same individual as a suspect or a victim within the same county on the same date are duplicate incidents, and 2) Multiple incidents associated with the same individuals as suspects and victims within the same county on the same date are duplicate incidents. We recognize that it is possible that multiple incidents involving the same individuals may occur within the same county on the same date; however, a review of the data suggest that more commonly, the incidents appear to be duplicates resulting from case processing practices, and not likely separate incidents. Based on these criteria, incidents identified as duplicates are only counted once for purpose of this analysis. Open and closed cases are considered in this count. Incident Year: The calendar year in which an incident was reported to law enforcement to have occurred. Issued Charge: A charge of an alleged crime issued by the district attorney. The number of issued charges and their severity may be the same as, or different from, those referred by law enforcement. Some issued charges may be the result of offenses that occurred at the time of a reported domestic abuse incident and other charges may be related to prior or subsequent incidents. Not all issued charges are related to domestic abuse offenses (e.g. child abuse, possession of drug paraphernalia). Top Issued Charge: The most severe charge (severity and classification code) issued by the district attorney's office for a defendant on a domestic abuse case. Top Issued Charge Unit of Count: Each defendant with an issued charge has at least one top issued charge. If a defendant has more than one issued charge of varying severity, a hierarchy of top issued charges is applied based on charge severity and classification code. A defendant may have more than one top issued charge if multiple top charges are of equal severity and classification code. We consider all issued charges on closed cases in this count. Law Enforcement Report: Information regarding law enforcement responses to domestic abuse based on incidents reported to law enforcement and then provided by law enforcement to the district attorney's office as required by Wis. Stats. § 968.075(9)(a)(1) and (1m). The law enforcement report to the district attorney should include information on responses by law enforcement to domestic abuse incidents even if the response did not result in arrest. Therefore, some law enforcement reports do not include charges referred to the district attorney's office. Law enforcement information included in this analysis must have been included as part of a law enforcement report that was subsequently entered into PROTECT as a case and flagged as domestic. Top Prosecution: The most severe charging decision for a defendant based on the severity of the issued charges. The charging decisions are grouped into categories with a hierarchy imposed with the following categories, in order: 1) Prosecuted Felony, 2) Prosecuted Misdemeanor, 3) Prosecuted Ordinance, 4) Not Prosecuted. Top Prosecution Unit of Count: Each defendant has only one top prosecution. If two or more charges are both the top and of equal severity, the defendant is only counted one time. For example, if a defendant has two top charges that are both class A felonies, the top prosecution, “Prosecuted Felony,” will only be counted one time. If a defendant does not have any charges issued, the top prosecution is “Not prosecuted.” Only closed cases are considered in this count. Referred Charge: A charge of an alleged crime forwarded by law enforcement to the district attorney’s office. Some referred charges may have been the result of offenses that occurred at the time of a reported domestic abuse incident and other charges may have been related to prior or subsequent incidents. Not all referred charges are related to domestic abuse offenses (e.g. child abuse, possession of drug paraphernalia). Top Referred Charge: The most severe charge (severity and classification code) referred by law enforcement to the district attorney's office for a defendant on a domestic abuse case. Top Referred Charge Unit of Count: Each defendant with a referred charge has at least one top referred charge. If a defendant has more than one referred charge and they are of varying severity, a hierarchy of top referred charges is applied based on charge severity and classification code. A defendant may have more than one top referred charge if multiple top charges are of equal severity and classification code. We consider all referred charges on closed cases in this count. Sentence: For the purpose of this analysis, we broadly define the sentence as the consequence or punishment resulting from a convicted charge (i.e. finding of guilt of a crime). Sentences may include a period of incarceration with extended supervision; however, a sentence may also be payment of a fine and court costs (nonincarceration sentence only) or the ordering of a defendant to probation. Both extended supervision and probation often include conditions which may include financial obligations, social conditions, such as counseling, drug/alcohol treatment, or other programming related to the convicted charge or defendant need, and some restrictions and prohibitions. Unfortunately, due to the inconsistency across counties with which conditions are entered into CCAP, we do not include conditions in this analysis. Top Sentence: The most severe sentence for each defendant based on a hierarchy of sentences. A hierarchy is applied to sentences such that the most restrictive is considered the top sentence, regardless of the number of sentences on a case or the length of sentence. Hierarchy order: 1) Sentenced to Prison, 2) Sentenced to Prison/Extended Supervision, 3) Sentenced to Jail, 4) Prison/Extended Supervision Sentence Imposed and Stayed; Placed on Probation, 5) Jail Sentence Imposed and Stayed; Placed on Probation, 6) Sentence Withheld; Placed on Probation, 7) Nonincarceration Sentences(s) Only, 8) Unknown/No sentence imposed. Top Sentence Unit of Count: Each defendant who has at least one convicted charge has one top sentence. The sentence reported in this analysis is the sentence at the time the data was received by DOJ. A sentence that is withheld and stayed may be subject to change. For example, if a defendant was initially placed on probation and the sentence withheld, but the defendant subsequently violated probation, the sentence may later change to sentenced to jail. Sentences that are imposed and stayed do not typically return to the court system if a defendant violates probation, so we do not receive updated information if such sentences are imposed. Only closed cases are considered in this count. Suspect: An individual alleged to have committed a crime who is included as part of a case. Multiple suspects may be associated with an incident. Not all suspects listed on cases have charges referred by law enforcement and not all are alleged to have committed domestic abuse offenses. Suspect Unit of Count: The count of suspects is not a unique count of individuals. Suspects are counted one time for each unique incident to which they are associated. In order to account for some of the variation in case processing across counties, we assume an individual cannot be a suspect on multiple incidents within the same county on the same date. We recognize that it is possible that multiple incidents involving the same individual as a suspect may occur within the same county on the same date; however, a review of the data suggest that more commonly, the suspects appear on duplicate incidents resulting from case processing practices, and not likely separate incidents. Not all incidents listed on cases include suspect information. If information for only one suspect is provided, we assume that individual is the suspect on all of the incidents listed on the case. If no suspect information is provided, we assume each incident with no suspect information has one unknown suspect. Open and closed cases are considered in this count. Victim: An individual over the age of 17 at the time of an incident who is alleged to have been the target of a crime and is included on a case. Multiple victims may be associated with an incident. Not all victims listed on cases are alleged to be victims of domestic abuse. Victim Unit of Count: The count of victims is not a unique count of individuals. Victims are counted one time for each unique incident to which they are associated. In order to account for some of the variation in case processing across counties, we assume an individual cannot be a victim on multiple incidents within the same county on the same date. We recognize that it is possible that multiple incidents involving the same individual as a victim may occur within the same county on the same date; however, a review of the data suggest that more commonly, the victims appear on duplicate incidents resulting from case processing practices, and not likely separate incidents. Not all incidents listed on cases include a victim. If victim information is not provided, we assume an unknown victim is associated with the first incident listed on the case only. Additionally, not all victims listed on cases are victims of domestic abuse. Children listed on cases may be victims of child abuse instead of domestic abuse. As a result, we have excluded children under the age of 18 from our count of victims. (Children under the age of 18 who are listed as victims are included in the count of “Children Included on Cases"). Open and closed cases are considered in this count.